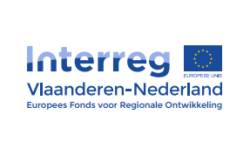 Between 2014 and 2020 ‘Interreg Flanders – Netherlands’ will invest funds from the European Regional Development Fund (ERDF) in valuable cross-border projects as part of the ‘CrossRoads2’ project. Medec is pleased to announce that it was selected to participate in such a project with a feasibility study for the development of new products. Within the sphere of innovation, the project specifically targets investment in the so-called ‘smart specialization’ sectors of (sustainable) logistics, bio-based economy, chemistry and materials, energy, life sciences and health, agro-food, nano- and microelectronics. The management and implementation of the project is accomplished in partnership between Flanders, the Netherlands and the provinces Antwerp, East-Flanders, Flemish-Brabant and Limburg (Flanders) and Limburg, North-Brabant and Zeeland (the Netherlands).